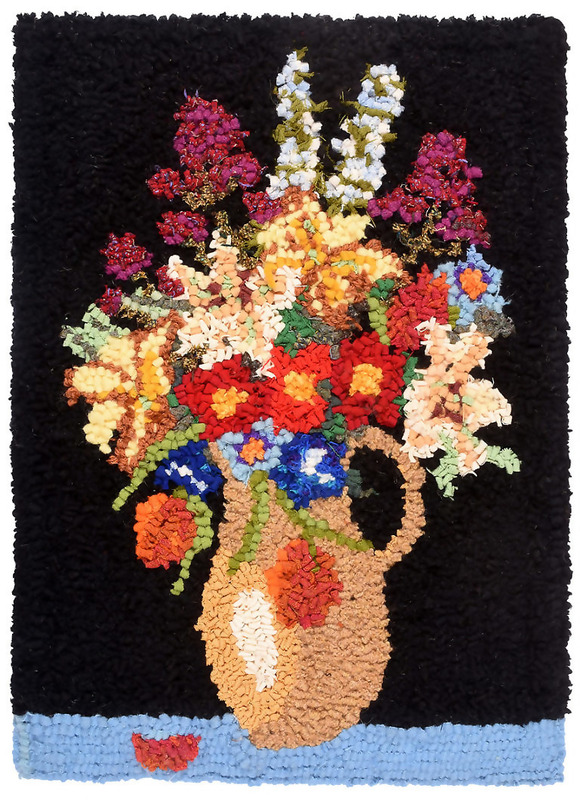 Hooked rag rug 66 x 50cm. Recycled woollens. 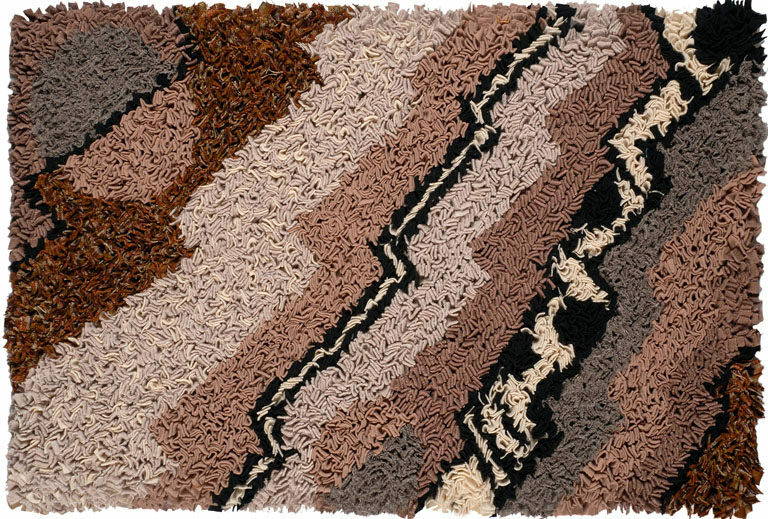 Progged rag rug 103cm x 75cm. 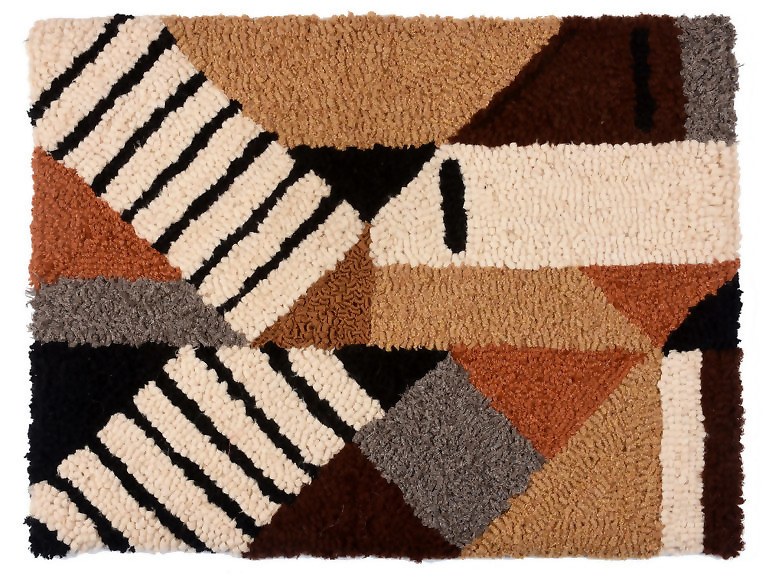 Recycled woollen textiles. Mixed technique hanging 90cm dia. (detail). 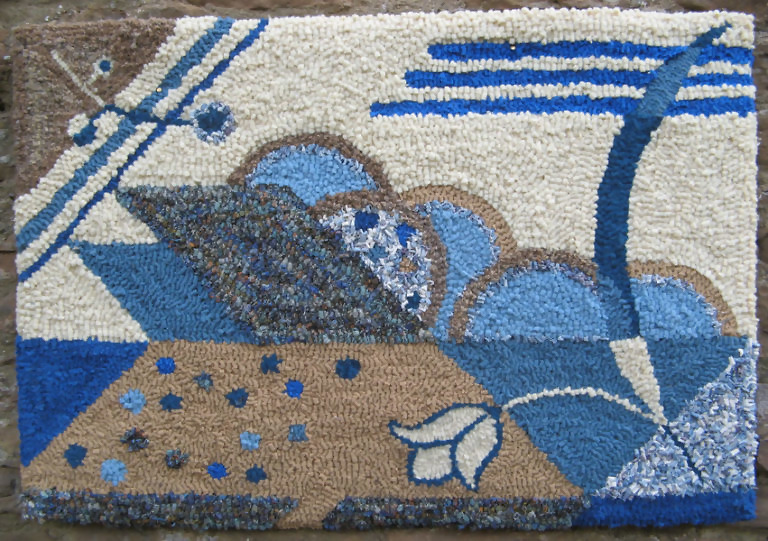 Recycled textiles. 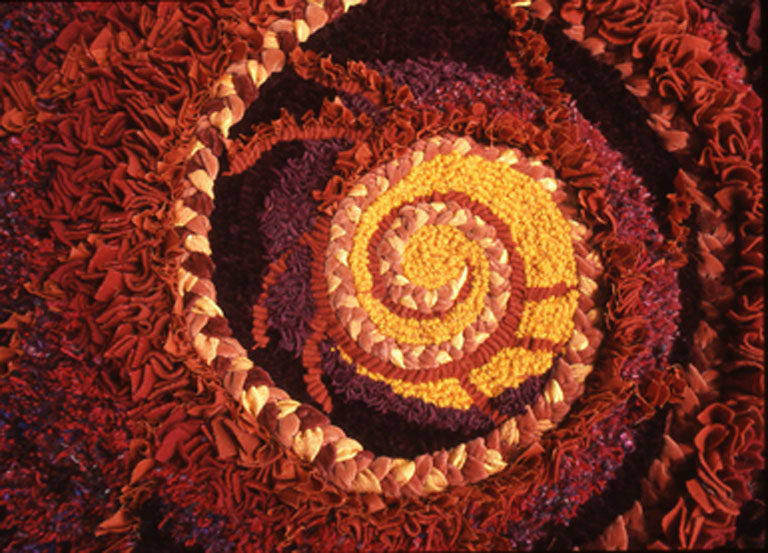 Hooked rag rug 94cm x 65cm. Recycled woollens & yarn. 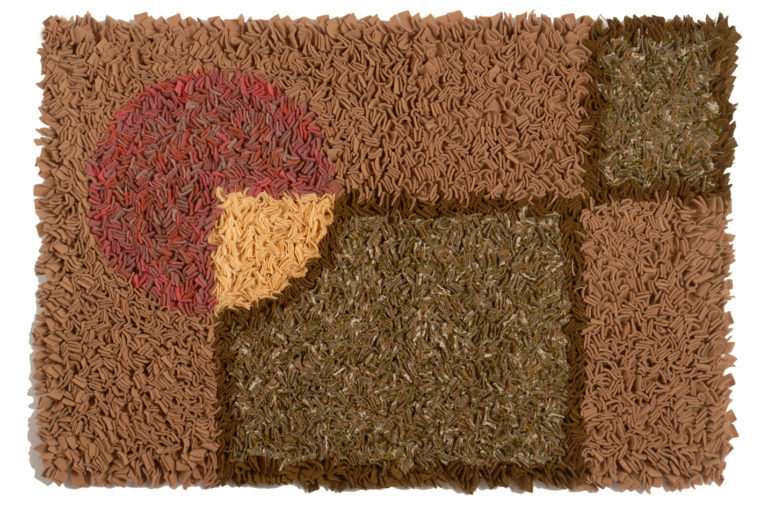 Progged seat mats 37cm dia. 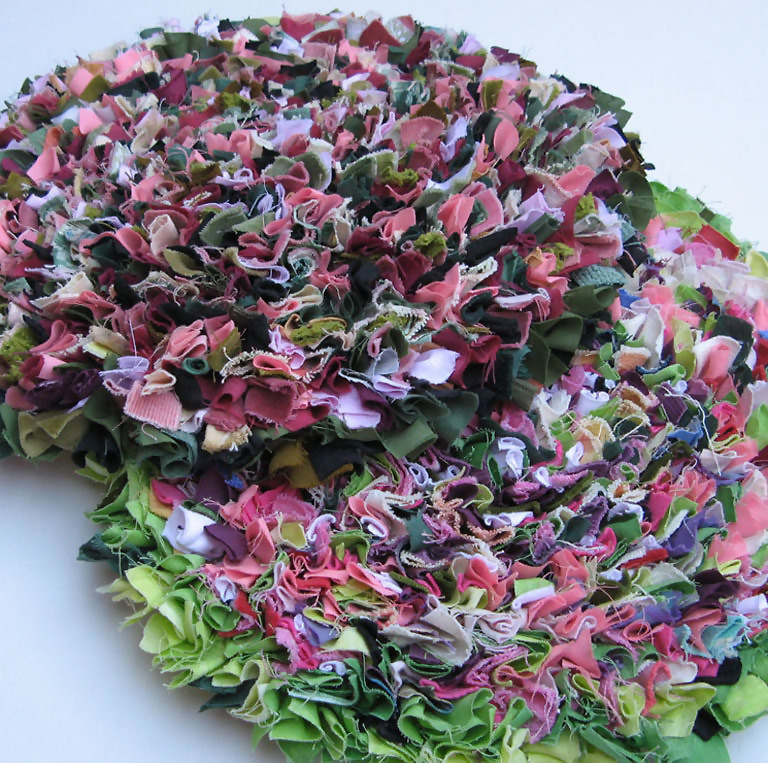 Recycled textiles.